Empowering sales and marketing teams to reach new heights. 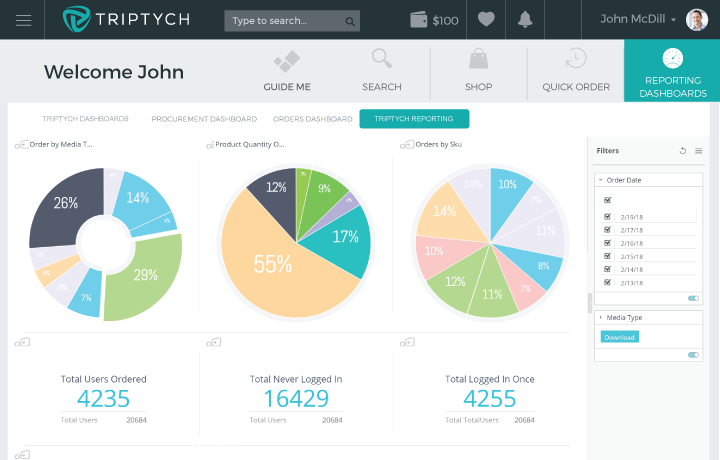 We created Triptych to empower large, distributed sales forces, including highly regulated industries, with a sales-first focus. The goal isn’t just to modernize, it’s to transform the way your sales and marketing teams operate. We thrive on making sales and marketing work at scale. We’ve seen too many inefficiencies fly under the radar and hold companies back. Our expertise in through-channel marketing and field sales support enables small marketing teams to support distributed sales forces at scale. We know that there’s a need for readily available content in the format that sales reps and their prospects want. Our sales-first focus and omnichannel content delivery help your reps achieve optimum quota attainment. We optimize time and resources to achieve your goals as a department, a division, and a company. These are the principles that drive our team to continue innovating. We deliver the right content at the right time and in the right medium to maximize the value of every conversation and drive the sale to close. We use technology to do repetitive tasks and heavy lifting, in an elegant platform for the best possible user experience that requires little to no training to use. No vendor should force you to use their portal. A vendor-agnostic approach gives your sales team a central hub that’s fueled by integrated business intelligence and decision-making insights. Our decades of experience have made us experts in field sales empowerment. We provide the knowledge and platform to help companies with large field sales networks drive their channel sales up and their cost of sales down. And, we know the key to success isn’t technology implementation, its technology adoption. We pride ourselves on taking a consultative manner, making sure you are utilizing the Triptych suite of tools to its full capabilities to maximize your investment. We want you to succeed, which is why we offer an omnichannel delivery that’s vendor agnostic, so you’re never locked into any single content format or vendor. Going beyond SaaS means we can catapult you forward like no one else. As Marek Group, we spent 40 years helping companies capitalize on their marketing resources, from conception to distribution. 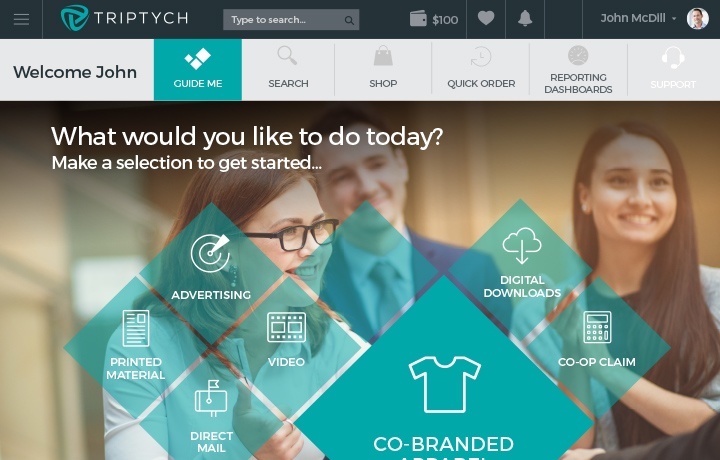 The sales and marketing experts behind Marek Group launched Triptych to be like nothing else you’ve seen. We’re more than sales enablement or marketing automation. Our turnkey approach to channel marketing operations allows us to do what sales enablement can’t. We catapult your team forward by offering more than just our intuitive platform to increase efficiency and scale your resources. With call center support and training, co-op and MDF management, rebates and incentives, printed and digital collateral, branded merchandise and more, we can give you a complete solution to sales empowerment.